There are 145 names in this directory beginning with the letter R.
Management , had own office across corridor opposite us. 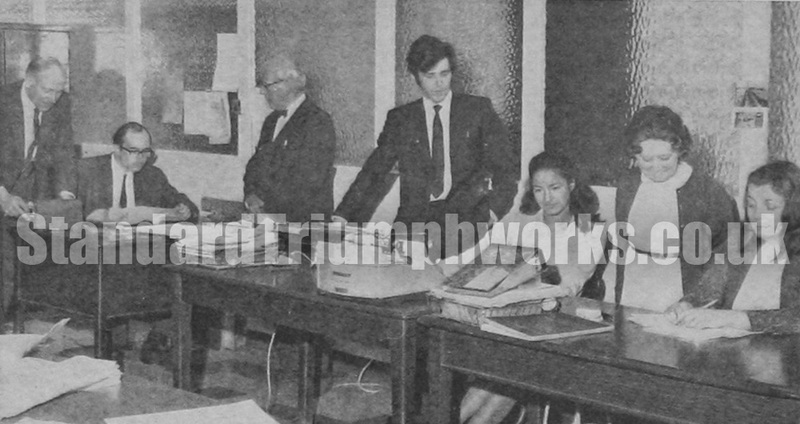 Took over Derek diggers job as works accountant when he left in 1972. Aged mid 40s . Had secretary called Joyce and assistant called tony working for him. Machine Shop / Powertrain Planning Section Cost control clerk who looked after the budgets. Worked in office, Forward Radiator, Bordesley Green, used to ring up on phone for production figures once a week to determine cost of parts, he worked in the Cherrywood Road factory, never met him, only spoke on phone. I started swimming for the Standard Triumph swimming club, Livingstone Road as an honours member as my uncle Ken Richards worked there. My cousin also belonged to the club, but I carried on and swam for the club in many galas. I had many fabulous times and have so many good memories. 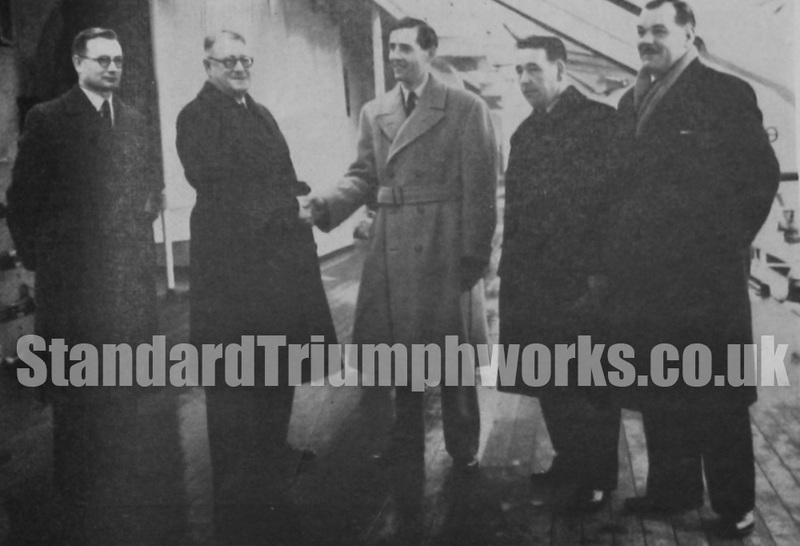 21/8/1911 - 27/6/1997 Joined Triumph and help develop the TR2. Drove at the British Grand Prix in 1949 and Le Mans in 1955. Competition Department. 1952-1961. TR2 - WVC575 Richardson was then hired in 1952 by Sir John Black to develop the "Triumph Sports 20 TS" prototype make a true sports car; so the TR2 was born. In May 1953 he drove one, fitted with a standard engine, to an average speed of 124,889 miles or 200,94 km per hour on the Jabbeke motorway. Worked in the stores Fletchamstead Highway. I have fond memories of my 1700cc Vitesse, which I bought in 1965 for £666 on the road. It was a lovely car to drive. My son owned a 2000cc Vitesse and he still talks about it. I retired from the company in 1973 when I was 65. I worked on the Stag and the Bullet. I started work at the Standard Triumph in 1969. I was taken on as a internal driver better known as a ferry driver. My foreman was Ken Hadley. I spent many happy years before moving to unipart the spares division,they were great days. My name is Michael Roberts, I started at Canley on Aug 21st 1978 as a Trainee Trimmer. I was moved to Browns Lane in June 1980 and then to Castle Bromwich in Aug 2005, where I still work. I go into my 40th year in the company on August 22nd. Computer Department, Canley in 1967. Was on night shift on my 21st birthday. Apprentice c1955. Son of Walter Rubley, s Factory Manager of the Car Division. 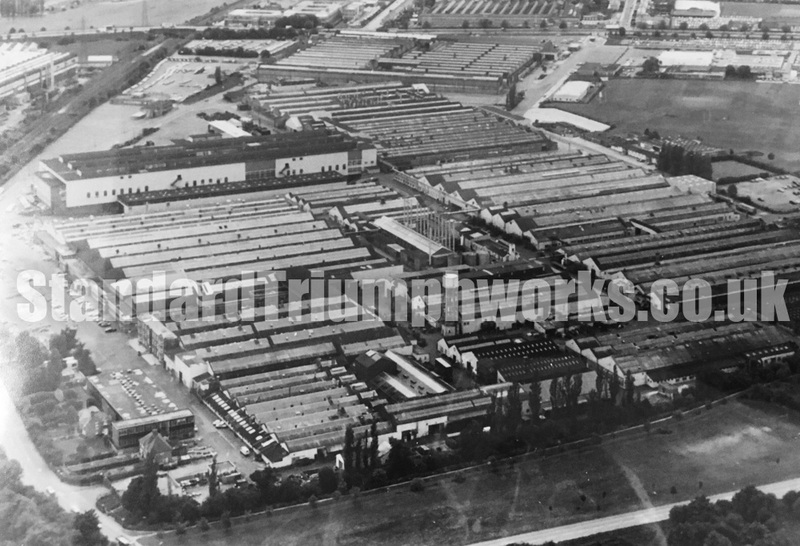 Worked at Standard Triumph for a time around the early 70's as a line operative on the 'Saab' engine line. To my recollection his job involved using an air gun to blow the swarf out of the machined cylinder heads. I joined Standard Triumph straight from school in 1964 as a clerk in the Cost Office at Canley. In my time it was situated in the large open office immediately behind the Canley reception suite & directors offices. I finally left the Company in 1975 to work in the aircraft industry. My dad Peter Ryan worked in the paint shop for 30 years but sadly passed away in 1976 while still working at the Standard. Peter was also the Entertainment Secretary and Compere at the Standard Triumph workings mens club right up until he's Death in 1976. I worked at the Standard Triumph from 1973 to 1981, then made redundant, I was working as a machinist in the SAAB machine shop, making Con rods ( connects the piston to the crankshaft ) My dad Peter Ryan worked in the paint shop for 30 years but sadly passed away in 1976 while still working at the Standard My dad Peter Ryan was also the Entertainment Secretary and Compere at the Standard Triumph workings mens club right up until he's Death in 1976. There was great Comradeship and many happy memories.